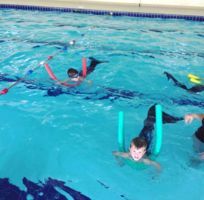 Clearwater Sports are a high-quality private swim school promoting water safety, confidence, and fun. 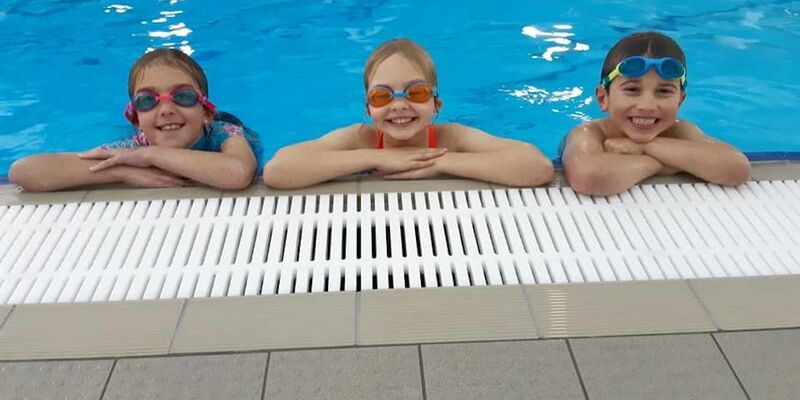 They offer lessons and unique events for children of all abilities, from as young as 3 months old, in line with Swim England criteria and regulation. 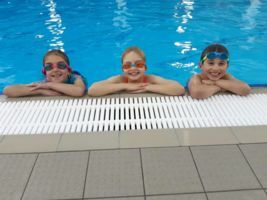 With a new pool set to open in April, Clearwater Sports will use the funds raised to purchase equipment and finance final installation work to establish their new, bespoke facilities. 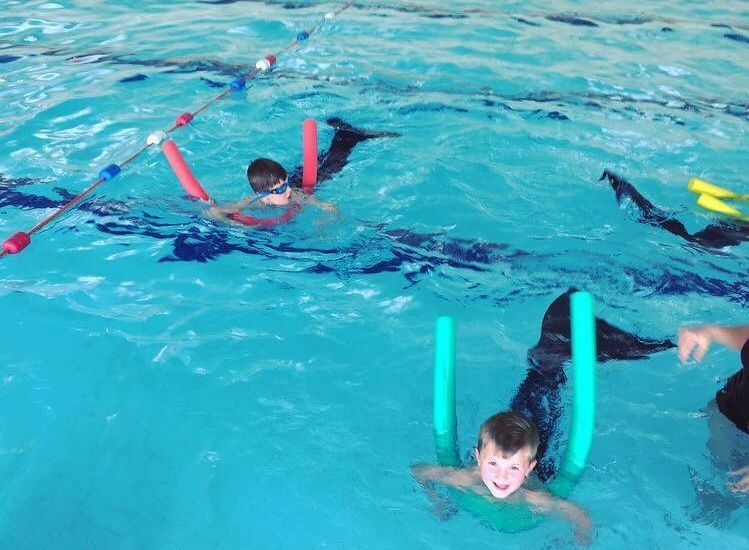 Clearwater Sports are a Wiltshire-based swim school offering a range of classes and events for children of all abilities. 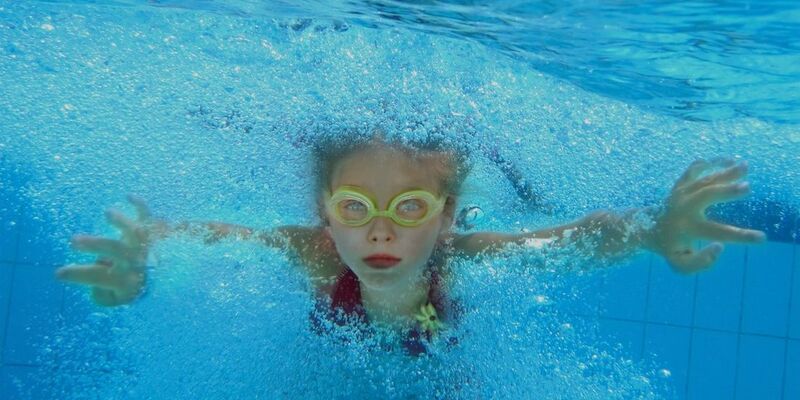 We run both private and group classes, including Aqua Tots for babies aged 3-36 months, Ducklings for 3-5 year olds, and Swim England regulated Stages 1-4 for children aged 5 years and above. To encourage focus and engagement, we award badges for each completed level. Once all learning stages have been passed, we give the children the opportunity to be introduced to the Bulford swim club to expand into competitive swimming. We stand apart from the competition with high quality instruction and small class sizes. All our swim teachers are Swim England or STA qualified and fully DBS checked. Safety will always be our number one priority: we have an exemplary record and dedicated pool assistants present at all times. Our aim is to deliver a single class (of up to 10 students) at a time, with 2 teachers, in a private ‘warm’ pool – these USPs cannot be matched by any of our competitors. 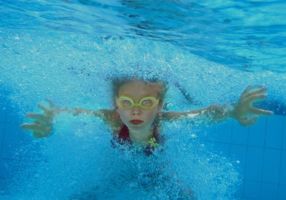 Our research has demonstrated that all 3 council swim schools in the area are oversubscribed with long waiting lists, some as long as 12 months. With this gap in the market, we will use the funds raised in this campaign to facilitate the building of a bespoke swimming teaching facility: we are currently converting an industrial unit at Larkhill into a swim school, installing high quality changing and viewing facilities and a unique Endless Pool with Swim Jet units and Air Source Heaters. This will deliver an appropriate learning environments for all ages, unlike any other facility. Q. Will current customers come along to the new facilities? Q. What are the competition risks locally ? A. Hi, our competitors are local council, however, we are known for having pool helpers in the water supporting our children as well as having teachers there, this gives our parents peace of mind and also brings the ratio down of staff to children, our lessons are small groups (5-6 in a group), where the council have 10-12 in a group. We also offer training with Jets (the pool becomes endless) which the nearest pool for this is Swindon or Bristol (45-60 mins away). Q. Q1: If the profit has been 101,000 then why raise a loan of £30,000 ? A. Our build was not meant to happy for another 4/5 years, it has been brought forward due to costing of our other location. A lot of the money has gone on the build and legal fees, but some has been used to cover further qualifications for staff to work in the new facility. i.e. NPLQ's, First Aids at Work, NRASTC, Plant Operations Level 3 which are all needed to open. Q. You mention room for up to 1000 customers, how do you market yourself and where will new customers come from in your operating area? We have a waiting list, that we are now working through, but we are in a Military area and have over 3000 troops moving back into 3 near locations we are central to them. We have people on the waiting list from some of these who are starting to move over from beginning of May. We use posters, flyers, social media and most of our customers come from recommendations. Q. Please can you provide a breakdown of your Admin expenses: in particular how much relates to salary, pool hire costs (to allow comparison with potential own pool costs) and any other significant elemets in these costs. A. The hire pool we pay £22,710 a yr (£1892.50) for 10 hrs a week for 38 weeks plus £6200 a month on wages, admin £800. It has just gone up to £2323 a month for 6 hrs. At our new facility we pay £12500 a yr for 7 days a week from 0700-2100 to hold lessons for all abilities and sensory swims which we can't do in our hire pool. Wages will be around £7200 a month due to having full time staff instead of self employed, bills come in around £1200 a month. (Hire pool max of 480 clients own pool 1000). Q. So, can you extend for 5 years at a time indefinitely subject to abiding, or does the landlord have another way of ending the contract? A. Hi, They can end our contract after 5 yrs with notice. (like a 5 yr break) But they are looking for long term tenants. Q. Are you expanding capacity with this new facility and expecting to attract more customers? How many new customers do you need to attract to break even? A. Hi, we are expanding, at the moment we have 340 registered as these are our clients at the moment, but with the new build we can accommodate just short of a 1000, we need 365 to break even. We can also offer more disability classes and sensory classes along with Aqua Tots which we can not do in the other pool as it is to cold, along with exercise classes. Hire pool sits at 28 degrees ours will be 30-31 degrees. Q. Hi Kirsty, Since these are brand new facilities, what facilities were used before? A. Hi, We have been using an MOD pool but the rent is increasing and it worked out cheaper to rent a unit and build than hiring, we try to keep prices at an affordable rate so all families can afford to send their children swimming, and with the increase we wouldn't be able to. The build has been brought forward by 3 yrs. Q. How long is the lease for and what rights do you have to extend? A. Hi, the lease is 5 yrs with agreement to roll for another 5 yrs subject to abiding by the contract. Q. Hi Kirsty, what the very low Equifax score? A. Hi, I didn't realise it was, have just check it states: This could be because you haven’t applied for new credit, or because you haven’t used any credit at all recently. Q. Hi there, What is the total cost of developing the new facilities, and will you own the facilities? A. Hi, the total cost so far is just over £92,000 we lease the building but everything else is ours. We estimate it to come in around £120,000. "Teaching safety, confidence, and fun"